Customers of Commonwealth Bank of Australia with a Samsung Galaxy S4 can make payments using a secure element embedded in their mobile phone today, and banks in Turkey, Russia and the Ukraine are due to begin offering the solution in the first quarter of 2014. Commonwealth Bank of Australia has introduced an NFC payments service that uses the secure element embedded in Samsung Galaxy S4 mobile phones. The bank is working with MasterCard on the new service. “Commonwealth Bank customers can now easily add contactless payment functionality to their Samsung Galaxy S4, allowing for contactless payments at the more than 1.6 million MasterCard PayPass contactless merchant locations around the globe,” the payments network says. “Access to the secure element allows Samsung and other OEMs, mobile network operators and financial institutions to partner with MasterCard to deliver next-generation payment solutions to consumers,” the network adds. CommBank announced plans to introduce NFC payments using embedded secure elements, as well as contactless PayTags that work with iOS and other Android phones in October 2013. 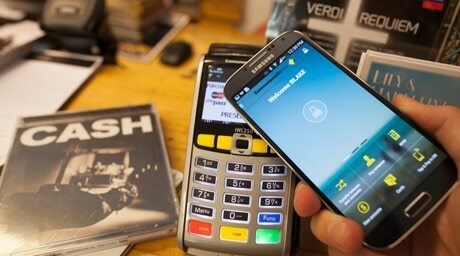 • Australia’s Westpac bank is also introducing NFC payments using secure elements embedded in Android phones. The bank is working with Visa on the project.